A number of deities in the Mayan pantheon were identified with the jaguar big cat. These were called the jaguar gods and goddesses of the Mayan mythology. Their depictions in the Mayan sources often show them as having some sort of jaguar-related feature to identify their position in the pantheon of gods. Among these gods was included the jaguar goddess of medicine and midwifery, named Ixchel. This name for the jaguar goddess was coined in the 16th century and is probably a later invention rather than being her actual name in the ancient Mayan culture. The Jaguar Goddess of midwifery and medicine has figured throughout the Mayan history. She was assigned different names during different time periods but the traits attributed to her remained more or less the same. During the Classic Mayan era, for instance, she was depicted as an aged women with jaguar ears who had been mentioned in the Dresden Codex. In multiple extant sources from the Classic Mayan period, she is depicted as overlooking childbirth and acting as physician in different scenes painted on vases. This affirms her role as both the patron deity of midwifery and medicine. Few places in the Mayan mythology make any mention of the jaguar goddess. In one particular Mayan myth, it is related that Ixchel or the jaguar goddess gave birth to a total of 13 sons. Of these 13 sons, two created heaven and earth and everything in them. Although no other myths directly mentioning Ixchel exist, myths related to similar figures exist in the Aztec mythology. Toci was a goddess very similar to Ixchel and almost her Aztec equivalent. Toci was also associated with sweatbaths, a place associated with childbirth in Aztec culture. According to an Aztec myth, the patron deity of the sweatbath was also the mother of the Sun and the Moon. 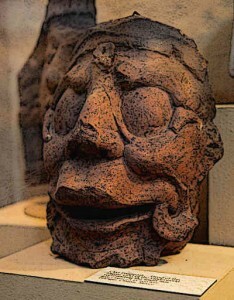 This myth strongly resembles the legend from Mayan history related above. Jaguar goddess was related to fertility and childbirth, so she was often identified with several other Mayan deities with similar characteristics. She was, for example, sometimes identified as the Mayan moon goddess. This is plausible because the Mayan moon goddess was directly identified with fertility and procreation. However, the jaguar goddess was held to be an aged deity. So she may have been more closely related to the moon cycles and possibly, identified with the waning phase of the moon. Since little direct information about the jaguar goddess is extant, it is hard to reach a definite conclusion on this matter. One of the most popular symbols used to denote the Jaguar goddess in the Mayan art was an entwined serpent placed at the headdress of the goddess. In some depictions, she has claws in the place of her hands and the symbolism of crossed bones is used to identify her. These symbols are also directly associated with the earth goddesses found in the Aztec pantheon. In light of these resemblances, it has been theorised that the Jaguar goddess was also identified as the Earth goddess. Her depiction as a woman with a fierce, open mouth has been interpreted as possible allusions to cannibalism which would suggest her position also as a war goddess. The Jaguar Goddess of the Mayan pantheon had numerous characteristics such as midwifery, medicine and fertility combined. Most of our knowledge of the position of this goddess within the Mayan pantheon comes from the Dresden codex, one of the extant Mayan books. At one place in this codex, the goddess O who is identified as the Jaguar Goddess by the researchers, is shown to empty a water jar. This has been variously identified as the symbol for a huge flood in the world, or the beginning of the rainy season. The latter interpretation would make the Jaguar goddess a Rain goddess as well. During the 16th century, a sanctuary dedicated to the Jaguar goddess Ixchel existed on the island of Cozumel. Women seeking a happy marriage or children after marriage travelled to this sanctuary. At another island at some distance from Cozumel, another sanctuary of Mayan goddesses was discovered by the Spanish and Jaguar goddess was one of them. Spanish sources cite numerous other places where during the 16th century Spanish conquest, the goddess Ixchel was held in very high esteem. The Jaguar goddess has variously been identified as a goddess of medicine, a goddess of fertility, of midwifery, a powerful female deity with possible link to female warriors and as related to the role of “grandmother”. In different Mayan sources, she occupies different roles. And when the Aztec equivalents of the Jaguar goddess are examined, even more varied roles of this particular deity come to light. Researchers believe that several names, including Ixchel, were used for the Jaguar goddess. The Jaguar goddess was one of the most preeminent female deities in the Mayan pantheon. Although she was primarily identified as the jaguar goddess in Mayan sources, female deities similar to her and possibly her equivalents also exist in the Aztec pantheon. One of the names assigned to her in Mayan sources is Ixchel although other names have also been used. Ixchel is identified as the Mayan goddess of midwifery and medicine. Among the Mayans, physicians and priests hailed her as the patron deity of divination and medicine. Mayan women visited sanctuaries dedicated to Ixchel when they wanted a happy marriage or a child. She has been depicted as overlooking childbirth in scenes painted on vases from Mayan Classic era. Certain other sources also hint at her being a mood goddess, a rain goddess or the Earth goddess. These assumptions are primarily made by identifying one or more of Ixchel’s traits with those of the deities mentioned. Researchers agree that the goddess identified as goddess O in the Dresden Codex is the same as the Mayan jaguar goddess.